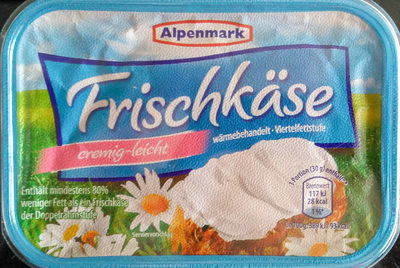 Frischkäse, Speisesalz, Milcheiweiß, Verdickungsmittel: Johannisbrotkernmehl. Product added on February 15, 2017 at 11:58:13 AM CET by date-limite-app. Last edit of product page on April 1, 2019 at 9:38:29 PM CEST by foodrepo. 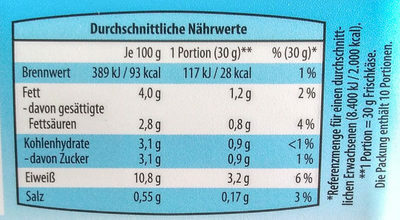 Product page also edited by kiliweb, openfoodfacts-contributors, tacite, tacite-mass-editor, twoflower.